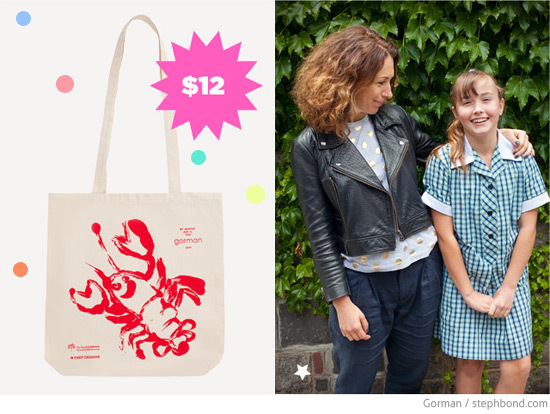 Love this gorgeous (and on-trend) lobster tote from Gorman designed by 12-year-old Jasmine. The tote is priced at $12 and 100% of proceeds will go to The Royal Children's Hospital, where Jasmine has spent a lot of time since she was born. Gorman aims to raise $18,000 to gift to the hospital for Christmas - are you in? You can find the limited edition lobster tote in store or online here.